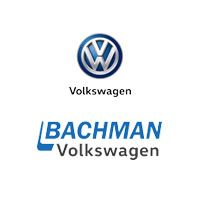 Did you know that Bachman Volkswagen buys your car, even if you don’t buy from us? As long as it’s roadworthy – we will take it. Review our buying process, necessities for selling and FAQs about selling your vehicle to Bachman. To get the most out of your time, fill out the form on the bottom of this page to make an appointment with one of our representatives for a vehicle inspection and appraisal. Let’s get the ball rolling! There are a few things we need from you and your vehicle. See below for the checklist of items before bringing in your vehicle. The title must be in your name. If you do not have the title, we can assist in getting you a duplicate for a small fee. The vehicle must be running and street legal. Know what company is financing your vehicle if there is an open lien. The Bachman Buys process is a simple one. We recognize you need to sell your used vehicle and fast! Check out our step-by-step process below. Step 1: Complete the form on this page. Step 2: We will contact you to verify information and vehicle condition. Step 3: We appraise your vehicle. Step 4: You come in with your vehicle and title. Step 5: The manager will inspect and drive your vehicle to confirm vehicle condition. And….If it’s before 5 pm, we can cut you a check that same day! We get it! It’s a big decision to let go of your well-loved vehicle, and you may have a few lingering questions. Check out our frequently asked questions below. Question: Do I have to bring my car in to get an appraisal? Answer: We will need to see all vehicles in person to verify condition before we purchase the vehicle. This will allow us to provide the most accurate price offer so you can get the most for your vehicle. Question: What kind of vehicles do you buy? Answer: All brands. If it’s street worthy, we are interested. Passenger vehicles, trucks, cars, SUVs, and motorcycles are welcome (including those with salvage titles, total loss, rebuilt, mileage discrepancy, etc.). We are not interested in boats and jet skis. Question: Do you buy vehicles that have a current loan? Answer: Yes. We will help you determine how much you still owe, and we can pay the lender and you get the difference. Question: If I owe more than my vehicle is worth, how is that handled? Answer: We will pay the lienholder the value of your vehicle. Anything left owed, you will be responsible for. Question: What if I don’t have my title? Answer: No problem. We can help order a duplicate title for a small charge.